Sometimes young players think they can play easily in the Chelsea first team, but that’s not true. 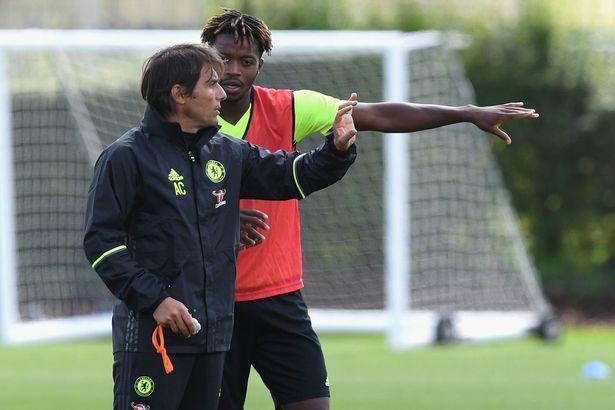 Antonio Conte has defended his decision to sell Nathaniel Chalobah, Bertrand Traore and Nathan Ake this summer and has spoken of a lack of patience from youngsters these days. There has been plenty of debate and comment made this summer over the decision to sell some of our most promising youngsters at the club who have had a taste of Premier League football at Chelsea last season. As with anyone coming through with obvious talent, they are sent out on loan for a few seasons giving them the opportunity to gain first team experience at different levels, to get stronger, to improve to then hopefully come back to Chelsea ready to fight for a place in the first team. For the majority of these players, it's clear after a period of time that they will not make the grade in Chelsea's first team and are eventually sold. However, for the few held in real high regard by the football club, the pathway is set for them to get their heads down, work hard within our first team squad and their chances should come. The question is "How long should they be prepared to wait?" Antonio Conte has been speaking the media whilst we prepare to face Inter Milan in our next pre-season friendly and was asked of the decision made to sell these young players with the focus being on Nathaniel Chalobah leaving for Watford for £5m and the signing of Tiemoue Bakayoko (who is just four months older) for £40m instead. "Sometimes young players think they can play easily in the first team, but that’s not true. They arrive at 20, 21 and they say, “I want to play regularly”, and a lot of the time they are in a great club and it’s difficult. Look at Real Madrid and many great teams. The young player wants to play regularly, he wants to go on loan. He doesn’t want to suffer. Last season we had a lot of young players and Chalobah wanted to go and play, Kurt Zouma wanted to go and play, Bertrand Traore wanted to go and play. 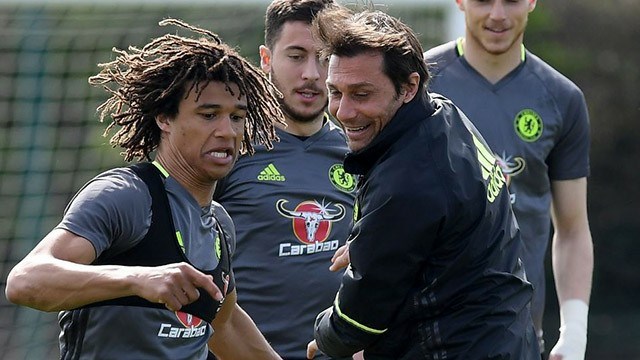 Nathan Ake is a good guy. Asmir Begovic wanted to go and play. Sometimes I think the young players lose their patience very quickly, because of parents or the people around these players. The advisers are not right. You have to fight with this. The first thing players should have is good patience. Trust the club and work very hard to know that to play at this level you must be stronger. I am talking about good players and you ask me why we sold players or sent them on loan. At one point you have to take a decision and understand what is best for the club. Every single player wants to play regularly. But I have to pick 11. I don’t spend money because I like to spend money. Every team has to understand their ambitions. If their ambitions are to win or fight for the title or the Champions League, you must buy expensive players. There has been a miracle with Leicester and us, because we won the title with only 13 players, but if you want to compete in England you have to be strong. The strong teams are getting stronger because they are putting a lot of money into the market." - Source: Daily Mail. Now I've had my say on the situation with our Academy and the fact that it has turned into a real money making machine selling £70m of players since 2014 which is staggering really. I have expressed my view that the situation we face these days is down to the ridiculous monies on offer in the Premier League now for ALL clubs but especially those who want to finish inside the top four. If you then add Champions League monies to the equation, the pressure to succeed has become so important and anything less is deemed as a disaster. Conte's thoughts on the situation are interesting to say the least. You get the impression that he really wanted to keep them and mould them over the next two or three seasons to then really kick on at Chelsea, but people outside of football and close to them get their opinions across, get their ear as it were and put these doubts inside their heads about the long-term here and they decide to leave. What do you people think of the situation with the Academy and of Antonio Conte's opinion? Does he have a point?